For precision and assembly work, your fingers need optimal freedom of movement. Light work gloves must be supple, flexible and ergonomically sound. 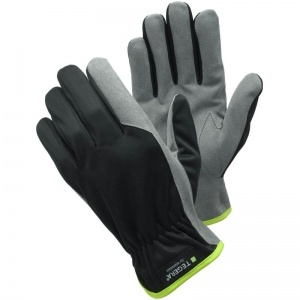 The Ejendals Tegera 321 Fine Assembly Gloves (Pack of 6 Pairs) are comfortable synthetic leather gloves with high levels of fingertip sensitivity and flexibility. Featuring reinforced index fingers, the Ejendals Tegera 321 are suitable for several light work applications. The product code for these gloves is 321. Through this listing, you can purchase the 321Gloves in pack quantity, getting 6 pairs of gloves at a discounted price. Ideal for businesses of every size, this bulk pack allows you to save money on your essentials. To purchase these gloves in single pairs, please see the standard listing. The table below showcases the test results of the Ejendals Tegera 321 Gloves according to EN 388 Mechanical Risk specifications. The Ejendals Tegera 321 are offered in six different sizes, the dimensions of which can be found below. To measure your hand, measure the circumference of your hand around the knuckles (excluding the thumb) with your hand open and your fingers together. We're from Malaysia & reseller, we're looking for Ejendals Tegera 321-7, quantity: 240pieces. Please quote us your best price. If we place an order, the UPS courier express can send to Malaysia? Thank you for your enquiry. Unfortunately we are unable to deliver to Malaysia, however, if you would like to place a purchase order and arrange your own collection from our warehouse we could arrange this for you. 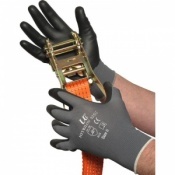 Please send any queries or orders of this nature to our ordering team orders@safetygloves.co.uk.